"It was at that moment I became aware of exactly how different I was." 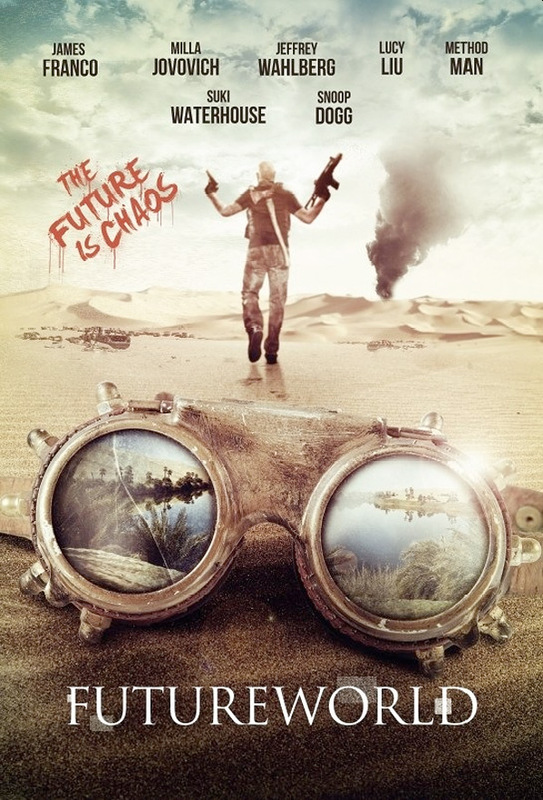 Lionsgate has released a trailer for a movie called Future World, a post-apocalyptic, sci-fi action western that looks quite a bit like a straight-up rip-off of Mad Max. Yep, really. The title also sounds like it's a spin-off of "Westworld", but thankfully these two are different. This looks so bad I really don't even want to give it any attention, but only just to be amazed at how much of a rip-off this is - sand motorcycles and grungy cars and everything. James Franco co-directs, and stars along with Milla Jovovich, Lucy Liu, Margarita Levieva, Suki Waterhouse, Method Man, Snoop Dogg, Elisha Henig, and Scott Haze. It might just be a bad trailer, it also might just be a bad movie. Whatever the case, this looks downright horrible and I hope film fans stay far, far away. A young boy's mother is dying and beyond the capabilities of any local medicine. Desperate for an answer, the boy travels across the barren future world wasteland, scavenging for a cure that is only rumored to exist. His will and perseverance will be tested as he strives to protect his family. Future World is directed by actor / filmmaker James Franco (of The Broken Tower, Sal, Interior Leather Bar, As I Lay Dying, Child of God, The Sound and the Fury, In Dubious Battle, The Disaster Artist) and cinematographer / filmmaker Bruce Thierry Cheung (director of The Color of Time, Don't Come Back from the Moon). The screenplay is written by Jeremy Cheung, Jay Davis, and Bruce Thierry Cheung. The film has not premiered at any film festivals. Lionsgate will release Future World in theaters starting May 25th this year. Thoughts?